When designing your dream home or retrofitting an old one, there will come a time when you have to choose what type of roof you want to add to your home. Since roofs do much more than just protect your home and its occupants from the elements, it’s important to choose a design that best fits your individual needs and preferences. 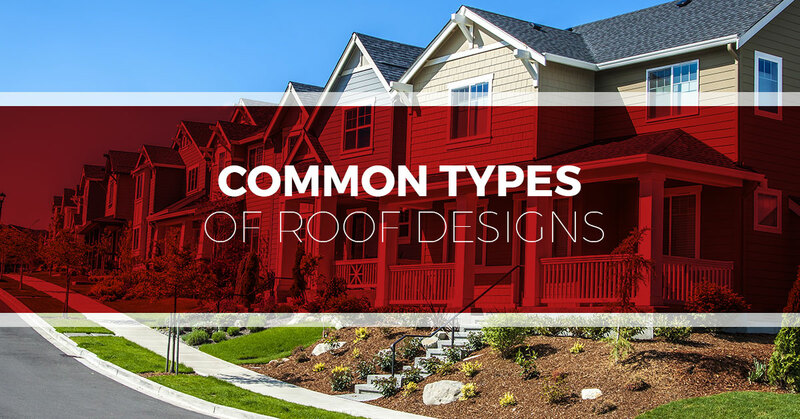 There are a surprising number of roof options out there, and in today’s blog post, Tim Leeper Roofing would like to share with you some of the most popular roof designs. If you are in the Nashville area and are looking for unrivaled roofing services, give our roofing company a call today. All of our work is guided by professionalism, transparency, and excellence. Whether you need a roof inspection, roof repair, roof replacement, or a new roof coating, we’ve got you covered. Give us a call today to get your free, no-hassle quote. Often known as a French roof, the mansard roof is a four-sided roof with a double slope on each side. All sides meet to form a low-pitched roof, and even within the category of mansard roofs, there are various types, including silhouettes, straight-angles, convex, and concave. Mansard roofs are considered to be an excellent choice for those who plan on making future home additions. However, the primary disadvantage is that they do not do well with heavy snowfall, and adding all the popular embellishments and details can be costly. As you may have already gathered from the name, flat roofs appear completely flat. However, these roofs are slightly pitched to allow water to drain and runoff. More often than not, these designs are utilized by industrial or commercial structures. Because of their flatness, homes or businesses using flat roofs have the option to add a patio, garden, or deck on top of their flat roof. These types of designs are not recommended for areas that receive high rainfall or snowfall because the low pitch makes them susceptible to roof leaks. For this same reason, it is important to remember that, while flat roofs offer a cheaper upfront cost, they can require more money in the long run because of all of the roof repairs and roof maintenance. Also sometimes referred to as a barn roof, a gambrel roof is similar to a mansard, in that it has two different slopes, but different because the gambrel only has two sides as opposed to the mansard’s four. These roof designs are commonly found on barns, farm houses, cabins, and on homes made in the Dutch Colonial or Georgian style. The biggest benefit of these designs is the extra living space — perfect for an attic or loft — and the limited materials required for construction keep the costs down. The downfall, however, is that in areas that receive a good deal of snow and heavy winds, all this pressure can cause the open design to collapse. These are perhaps the most popular roof choice in the United States. It’s the triangular-shaped roof that probably covers most of your neighborhood’s homes — it’s also the style you’ll probably see when you look at a child’s drawing of a home. The reason for the extreme popularity is mostly because of the combination of simple construction, excellent water shedding abilities, and affordability. However, if frames are not properly constructed, they can be problematic, especially in high-wind areas. The skillion roof is most associated with sheds and other structures that use a lean-to roof design. It’s one of the simplest types of roofs. It is a single, sloping roof that is often attached to a taller wall. Although these roofs are mostly used for porches, sheds, and home additions, they are becoming an increasingly popular option for modern homes. As you may have guessed, the big benefit of this type of roof is that they are excellent at directing water off the roof and they require fewer building materials, making them a cost-effective option. The big downfall of this type of roof, however, is that if the pitch is too steep, it can result in low ceilings and, therefore, reduced living space. Similar to the gable roof, the saltbox roof is made of two roofs that meet at a ridge line, forming a triangle. However, unlike a gable roof, a saltbox roof has an asymmetrical design where one side is bigger than the other. Or to say this another way, one side typically has a gentle slope and the other side typically has more of a lean-to look. This roof design originated during Colonial times when early Americans realized that they could add more space with less materials by essentially adding a lean-to roof to an existing gable roof. While the slope makes it easy for water to run off and the design creates more living space, the big drawback is that it can be quite difficult to design and construct these roofs to work flawlessly. Whether you are looking for a total commercial or residential roof replacement, a roof inspection, or some of the best roofing repairs in the Nashville area, we’re poised to help. Our roofing contractors are passionate about providing superior roofing services, and we strive to ensure 100 percent customer satisfaction with every job we do. Contact us today to schedule our roofing services or to get your free estimate!